Nokia has created a minor firmware update for the Nokia Lumia 800. The only problem is that the update, 12072, has not yet been rolled out globally by the Finnish based manufacturer. The update repairs an audio volume bug that came about after the previous update, 12070, fixed a Power Management Issue. Software version 12072 also includes a new camera app with updated camera settings. The audio volume bug is said to make playing video games difficult while at the same time it messes up the ringtone on your Nokia Lumia 800. The bug makes your phone ring super loud, even from the first second that a call hits your device. Some regions have already received the 12072 update while others haven't. 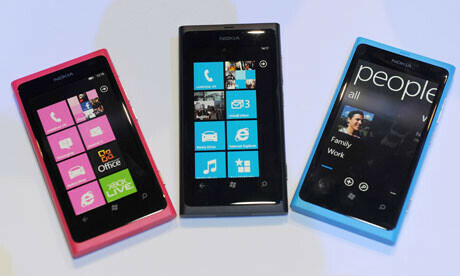 If you own the Nokia Lumia 800, you can either wait for the update from Nokia to reach your area or take the risk of downloading it before the release. If you attempt the latter, you will be doing it at your own risk. Check out the instructions below from Mobiletechworld. - Download the PR 1.2 1600.2487.8107.12072 FW here. - Download the update from the first link above then download the WPupdate tools from here. - Unzip the Tools in a folder then copy the firmware to the same folder as the tools. Will we ever see this on Android with 3 updates in 2 months ? Probably not, you will just have to live with it for 2 years. betatesters. Straaangge Instructions... - Unzip the Tools - Plug in your device - Run the the Updater - Press S or B (depending on thesize of your balls..) - Don’t unplug it or do stupid things with your PC during the whole process.. Thinking about something?? Still no mobile hotspot???? 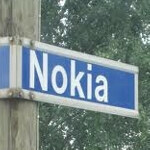 WTF, Nokia? !